As expected, 2018 was the year of protecting data – and lots of it. Data stores grew rapidly and we saw an increase in cyber-criminal activities. 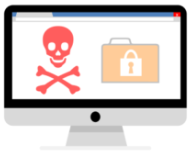 In parallel the LTO Program’s BlogBytes saw increased readership across related topics including, how to protect against malware, ransomware and hackers. Read on to review the Top 10 BlogBytes of 2018! #10 – The LTO Program visits a number of trade shows each year and the most prominent show for broadcasters in Europe is the International Broadcasters Conference (IBC) held in Amsterdam. The LTO Program team featured LTFS and LTO-8 technology at the show. 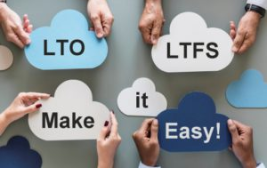 Learn why LTO-LTFS Was the Buzz! #9 – IDC predicts that the global data sphere will exceed 160ZB by 2025, with a 30 percent compound annual growth rate (CAGR). With big data growing at such a rapid pace, the additional requirements for IT storage and infrastructure to be organized and maintained, can cause massive headaches for storage managers. Learn how LTO technology plays a key role in Big Data: Taming the Wild Beast. #8 – Does your critical data have a storage safety blanket to rely on for long-term protection? In this BlogBytes, we explored how LTO tape technology provides the ultimate safety blanket for your data on-site, off-site and in the cloud. Find out how you can safeguard your data and save by reading Does Your Data Have a Safety Blanket? #7 – How much do you know about LTO-8 technology? Take the quiz and find out more about the important features of this outstanding storage technology: When Does 8 Equal 30? #6 – Did you know that you can take a brand new, unused LTO-7 cartridge and initialize it in your LTO-8 drive as Type-M Media? This will allow it to store up to 9TB uncompressed or up to 22.5TB with compressible data. That’s a 50% increase in storage capacity over the normal LTO-7 cartridge capacity! Read all about it in Make LTO-7 Tape Huge! #5 – Tape storage is a strategic discussion topic for organizations of all sizes that are concerned about managing tight budgets and protecting digital assets. 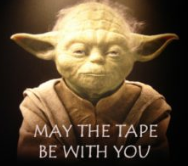 In a SearchDataBackup article, Brian Posey discussed data protection strategies stating, “Tapes are also a good choice for organizations that need to ensure the security and integrity of their data backups. As previously noted, tapes can be stored offline, thus preventing ransomware from being able to attack backups.” Put your shades on and discover the amazing longevity of this technology in Data Protection’s Future is Bright! #4 – When malware and hackers attack, corruption can spread quickly as the damaged data can be replicated from one storage pool to the next. We reviewed key points from an IDC webinar and discovered how to brighten up The Dark Side of Data Storage. #3 – The Open Compute Project (OCP) held its annual US Summit in California last year with more than 3,000 key decision makers, executives, engineers, developers and suppliers – including the LTO Program team showing what makes LTO technology an open-standard. Find out more in LTO-8 Technology Featured at OPC Summit. #2 – Your files have been encrypted! If you see this message on your computer screen, your system has probably been infected with malware. If the message declares that you can fix the problem by paying for a decryption service, you may now be a victim of ransomware. What to do? See the answers in Oops! Your Files Have Been Encrypted! Thanks for reading BlogBytes and making it a hit in 2018! If you want to join the LTO Program mailing list and receive timely data protection updates, sign up here.